Do you want to boost the profile of your business or organisation? Do you want to persuade more people to act? If you answer yes to any or all of these, then you’re in the right place. After many successful years in the copywriting business, I know what sells and what doesn’t. And I'll use that knowledge to promote your product or service. What I write makes money. That’s why major organisations such as G4S, the NHS, ActionCOACH and Costco - as well as hundreds of smaller businesses - trust me with their requirements. At the last count, 87% of my customers commission further work from me - and the vast majority of my business comes from word of mouth referrals. I produce copy that pays for itself in terms of increased profits - many, many times over - and use tried and tested selling techniques, rather than concentrating on fancy language and clever slogans. I might not get a laugh, but I will get a result. 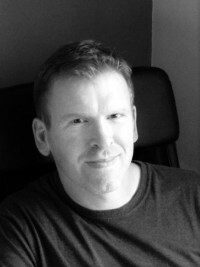 My name is Martin Sayers - I'm a freelance copywriter and marketing consultant. Discover how you can write great copy. Get my FREE guide 5 Secrets To Writing Copy That Sells.